← Is your planner all set up for 2017??? 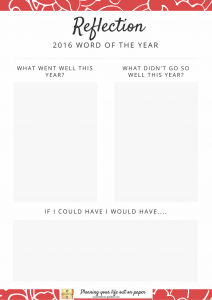 Today’s post is all about reflection, looking back on 2016. Why ought we take time out to reflect on our past year? For one it’s to look at all that we have accomplished. Sometimes we just get into such a rut that we believe that the whole year was crap. We forget all the things we were able to do even in a crappy state. Another reason is also to stop repeating the mistakes we did that year. To close off all that went wrong and look to see what we can change moving forward. It makes me look at my year from a different angle. I look at my year as if through someone else’s eyes, and the pain that I went through doesn’t hurt as much from afar. It makes me look at how I caused the problem, and the outcome is almost always left with me shaking my head and saying… Susan, Susan, Susan, did you have too? Mind you I’m pig headed so I always say…. yes, I had to, buuuut, I didn’t have to go that far…. We women seem to forget all the good we have done. We put it off as if it was nothing….No biggy…. With this exercise, we are reminded and we can pat ourselves on the back and say well done you!!!! The year wasn’t a compleat waste. If I hadn’t written down my goals at the beginning of this year I would have never known that I had reached them. I can be proud of myself. I bet you can be too !!! We are allowed to be proud of ourselves, men are all the time. We are allowed to scream out of the window (it’s too cold for the rooftop shouting so, window will have to do for now) that we did a good job of raising our kids, changing to a new job. Starting a business, having more people follow us on Instagram or on our email list. We can be proud of big things but also little things. 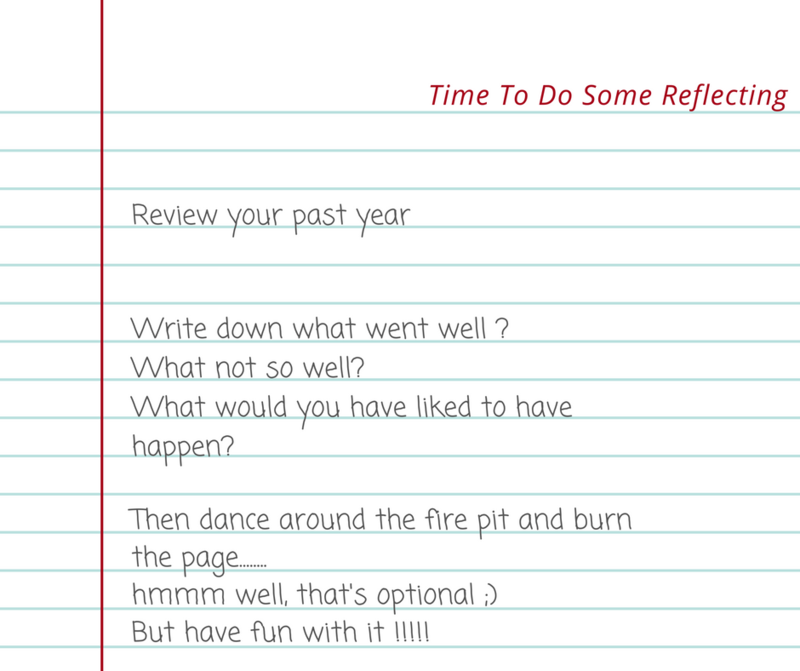 Above is a free worksheet that will get you started on your reflection. Use the back of the page to go deeper if you wish. But most of all have fun with it. Don’t be hard on yourself if things in 2016 did go as planned. They are over now, just don’t let them happen again in 2017.What you could do to make it a bit more witchy and give it more meaning is to …. Burn this page on New Year’s eve after you have filled it out. That’s what I’ll be doing with my friends this year, yes I have found people to do this with. Those of you who were at the Diva Party know I was looking for someone to do that with. When will you do your reflection? Have a lovely time, remember to not be hard on yourself there is no need.